Get better SEARCH Rankings with SEO Tools. Open Enterprise™ Search Engine Optimization (SEO) Tools provide a framework for organizing and optimizing keywords and content, providing your website with the best opportunity to rank well in search engines. 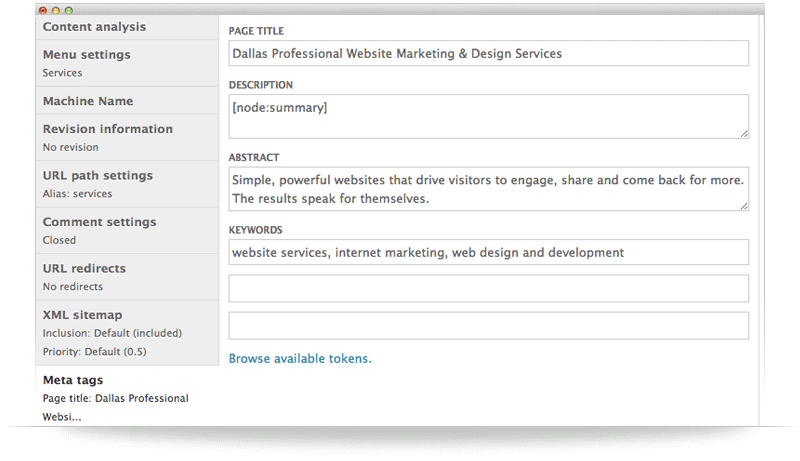 Manage meta data on a per page basis including information for Page Titles, Descriptions, Abstracts and Keywords. 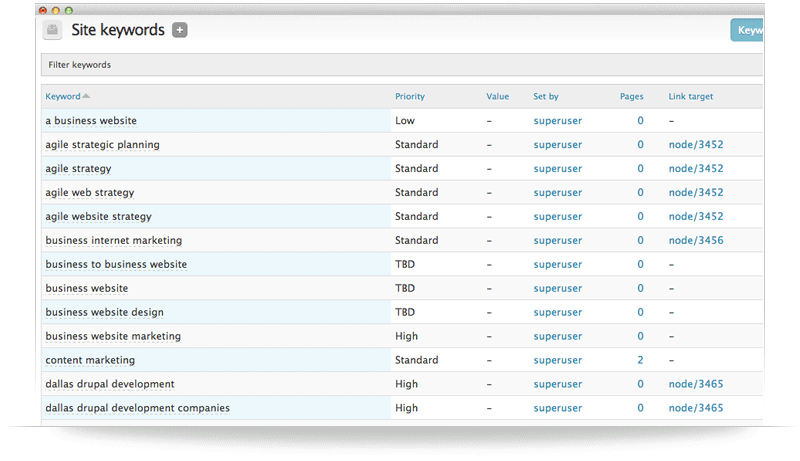 Open Enterprise also provides defaults that can be set for the entire site or specific types of content to help automate the optimization process. 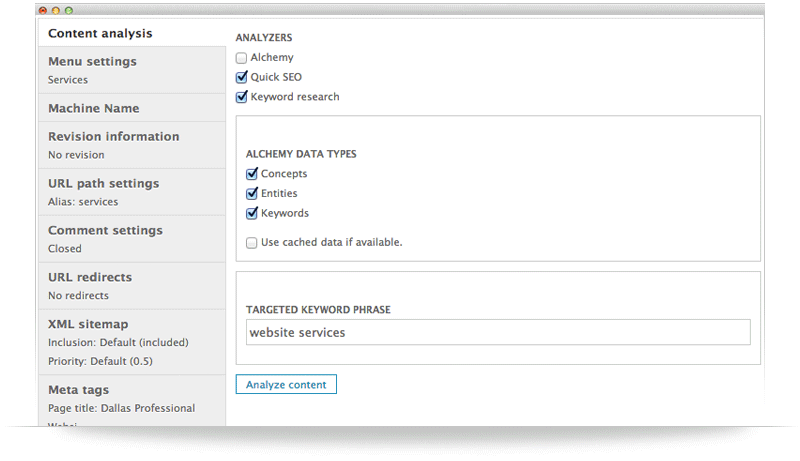 Analyze content on a per page/keyword basis to ensure your pages are optimized around search engine best practices. 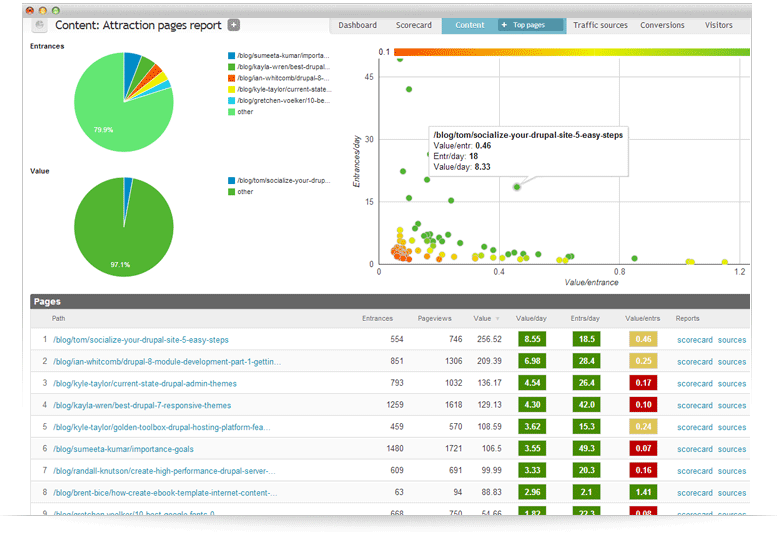 Content analyzer provides keyword saturation reports as well as provides recommendations for optimizing your content. Import your keywords directly into Drupal, then manage those words to ensure your keyword strategy is aligned with your content. Once you've optimized your content, it's time to analyze and improve. Our Intelligence system helps you do just that. Along with all the data Google Analytics provides, Intelligence allows you to assign values to content, users and site administrators to gain a more in-depth understanding of what is valuable.